A Dallas woman who had been on life support since undergoing plastic surgery on her nose at a clinic in Mexico has died, her her family attorney wrote in a statement to WFAA on Saturday. (WFAA) - A Dallas woman who had been on life support since undergoing plastic surgery on her nose at a clinic in Mexico has died, her family attorney wrote in a statement to WFAA on Saturday. Laura Avila, 36, has remained in a coma since the Oct. 30 procedure at the Rhino Clinic in Juarez, Mexico. 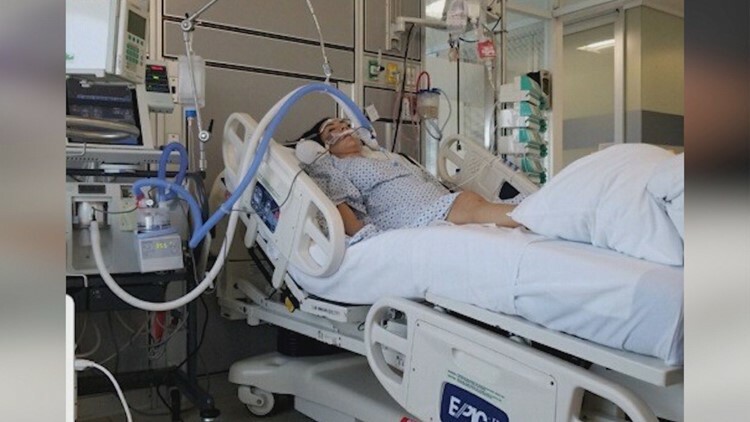 She went into cardiac arrest after doctors there gave her anesthesia, and she never woke up. "Laura was a beautiful woman powerful and full of life," family attorney Larry Friedman wrote ina statement to WFAA. "She had the best of life in front of her until this tragic unfortunate and senseless death. So that her death is not in vain, people should think of Laura before they look for cross border discount surgery. They should do their homework and investigate the experience, training and track record of anyone BEFORE they sign up. Always LOOK before you leap!" "My angelic sister/second mom/best friend & Heartbeat left us today around 8:20AM," Avila's sister Angie Avila wrote Saturday on Facebook. My heart aches, and I truly don’t know how or if I’ll ever overcome this pain. What I do know is that I am beyond lucky to have had the chance to be her sister for twenty five wonderful years. She’s the love of my life, and I know she will continue to watch over me and guide me just as she always has. I love you, Laura Avila. Thank you for being the best sister in the world. ??"